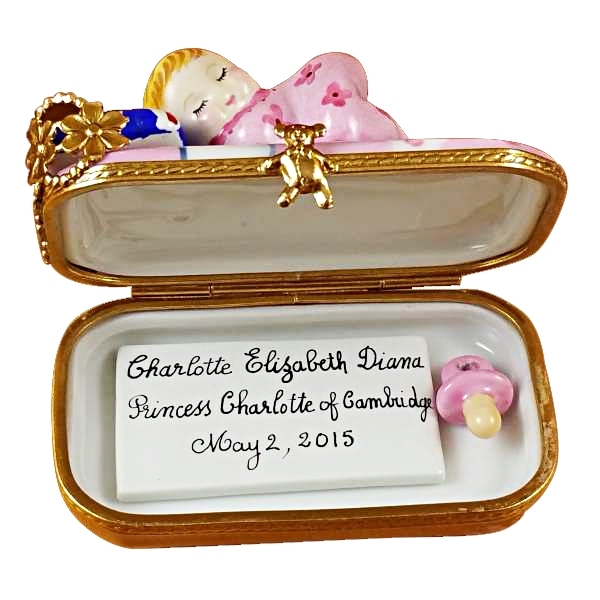 PRINCESS CHARLOTTE OF CAMBRIDGE SLEEPING - INCLUDES PLAQUE AND PACIFIER - Limoges Boxes and Figurines - Limoges Factory Co. 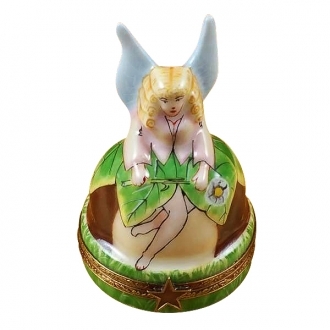 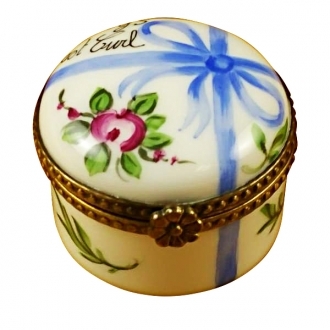 The Limoges trinket box has a very endearing shape. 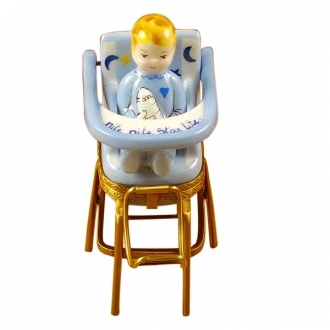 It is shaped like a pink baby bed on which sleeps a baby in the characteristic cute pose. 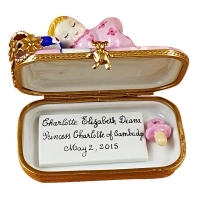 The plaque prided with the piece says it is ‘Princess Charlotte of Cambridge’. 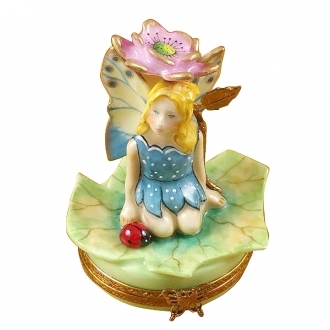 The whole bed forms a useful trinket box. 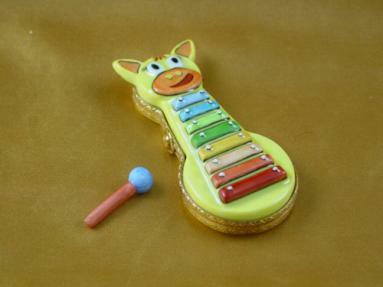 A removable pink pacifier comes with the box. 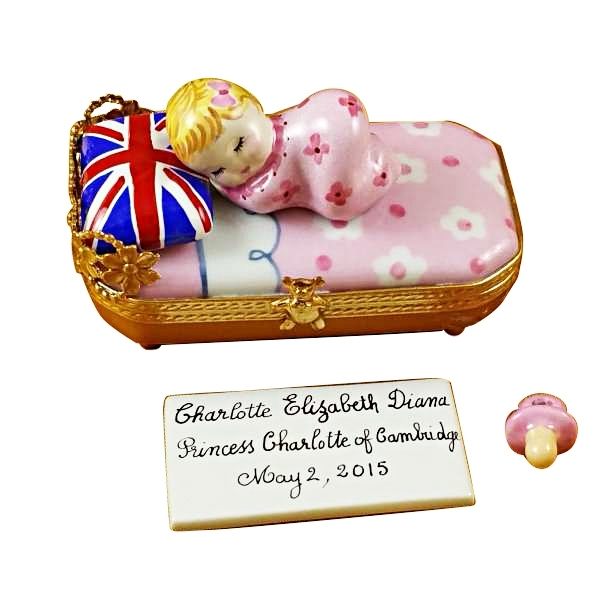 The pillow case with the Union Jack on it gives a distinct English touch to the Limoges box. 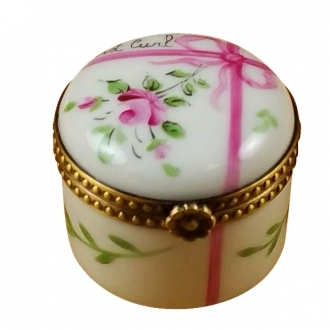 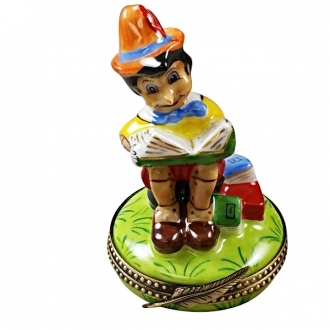 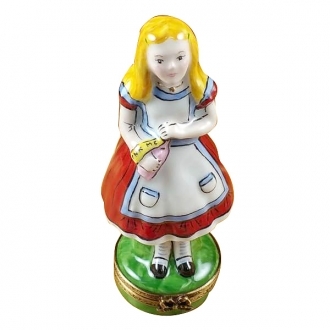 This Limoges box is a décor piece for your nursery and at the same time it can also be used as a gift article. 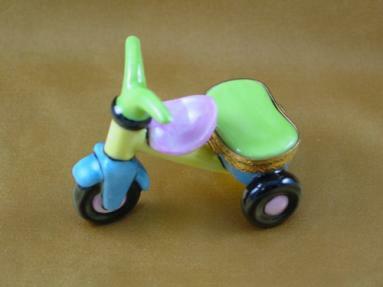 Measurements: 3" х 1.5" х 1.75"